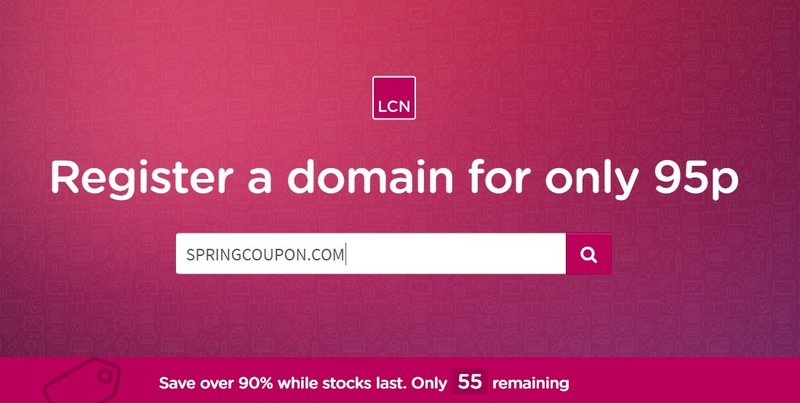 Hey UK and Ireland, let get a really cheap domain at LCN with this deal. Each of you can get one (01) domain name for only 95p – over 90% off. This offer is applicable to the following domains: .COM, .UK, .CO.UK, .ORG.UK or .ME.UK, .NET, .ORG, .EU and .INFO (new one-year registrations only). Your domain at LCN also gets protected with free domain privacy service. This offer applies to new purchases only. Only one domain per customer can be purchased using at this offer price. There only 64 slots remaining, so hurry up to get your cheap domain. People outside UK, LCN still offer you the best transfer price in the market – $6.49 .COM, .NET, .ORG, .BIZ and .INFO. Click here to see more detail.